Rain has delayed the first day of the Australian senior league baseball championships. Baseball Australia announced through its Facebook page on Sunday, May 14, that the first day of play would be postponed. “We had an early inspection this morning at 6am to just try and get in as early as we could to make an assessment on the field obviously because we had quite a bit of rain,” championship director Michael Ibboston said in a video released on Baseball Australia’s Facebook page about the postponement. “We make decisions on what we think might be able to get played. We were confident if it stopped raining that we would have played today but it continued, seeing the fields become unplayable. Ibboston added that a wet field posed a hazard to the athletes. A revised schedule was released on Baseball Australia’s website, indicating play would pick up at 9am on Monday – weather dependant. The championship for 13 to 17 year olds will see nine charter teams from across Australia compete at the Albert Park Baseball Complex in Lismore, NSW until May 19. These charters are made up of the best players from their local associations. For the nine charters competing in this year’s championship edition there is a lot to play for. In an Australian Senior League Champion first, the winner of the 2017 tournament will gain automatic entry to the Senior League World Series. Last year’s champions, the Southern Mariners from Victoria, had to win the Asia-Pacific Championship to seal a berth at the World Series. The Mariners took out the inaugural championship in 2016 with a win over Hills (NSW) in the gold medal game. They then went on to win the Asia-Pacific Championship, before eventually claiming the silver medal at the 2016 Senior League World Series. An incredible effort considering the Mariners were the first Australian team to represent at the Senior League World Series. 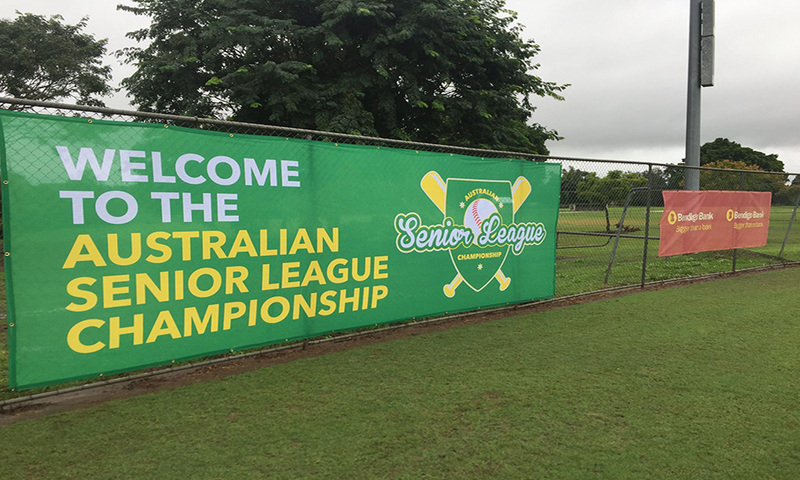 This championship has extra significance, as it will be the first tournament at the Albert Park Baseball Complex since the devastating effects of ex-tropical cyclone Debbie earlier this year. Thirteen games, including the semi-finals, bronze and gold medal games, will be streamed live on ABLTV. All streamed games will be available live and on demand through Baseball Live, the new Baseball Australia app. If all goes to schedule, the Greater Western and Southern Mariners charters will play the first game of the day at 9am on diamond two while the Gold Coast Cougars and Eastern Athletics, on diamond one, will play at 9.15am.